The Vitara has lost the boxy utilitarian design of previous models and now has slicker, more mainstream crossover styling. BUDAPEST (Reuters) -- Suzuki will return to two-shift production at its plant in Hungary in December as it builds stocks of the new Vitara, the news agency MTI reported, quoting the unit's CEO, Ryoichi Oura. Suzuki unveiled the five-door Vitara subcompact SUV at the Paris auto show last month. The model will go in sale in January, competing in a booming segment with cars such as the Renault Captur and Opel Mokka. Suzuki's plant in Esztergom, northwest Hungary, has worked in one shift in the past months after ending output of the Splash small minivan and the SX4 small SUV. The factory also builds the Swift subcompact hatchback, Suzuki's top-seller in Europe, and the new SX4 S-Cross, according to Automotive News Europe's guide to European assembly plants. Suzuki's vehicle sales rose 10 percent to 140,099 in the EU and EFTA countries in the first 10 months, according to data from industry association. Its market share rose a percentage point to 1.3 percent. 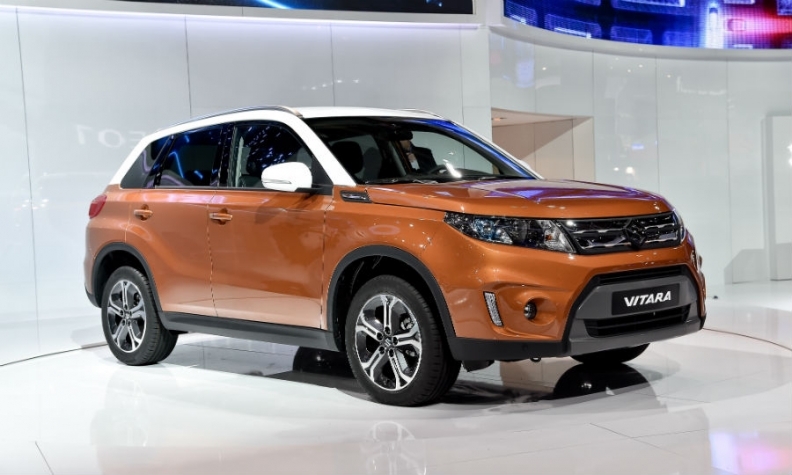 Suzuki has said that the Vitara was created specifically with the Europe in mind and the company hasn't decided whether to sell it in other markets. IHS Automotive expects Suzuki to sell about 23,000 units of the model in 2016 in Europe and 27,000 in 2017.